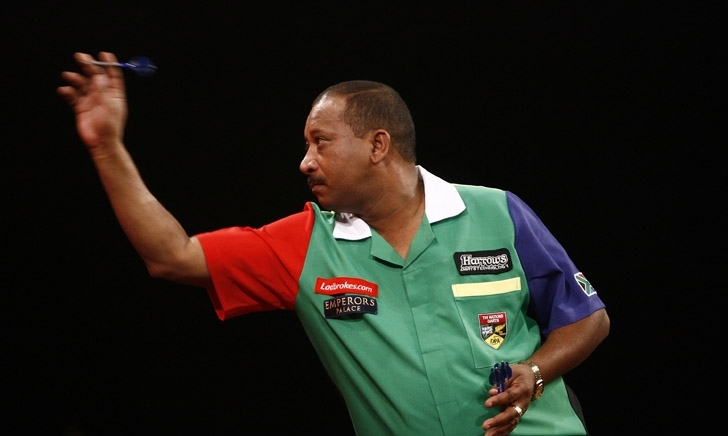 South African Charles Losper started to play darts in 1991 and for the first appeared on the international stage when he took part in the WDF World Cup 2003. In 2006 he joined the PDC and took part for the first time in the South African Open. After his wins of the tournament in 2007 and 2008 he took part twice as South African representative in the PDC World Championship and both times he was eliminated from the tournament first round.. By his win of the South African Masters 2007 he got a place in the first Grand Slam of Darts but didn't survive the group phase. 2008 Losper was one of the founder members of the SA Pro Darts Organisation and since than is one of the directors responsible for administration.